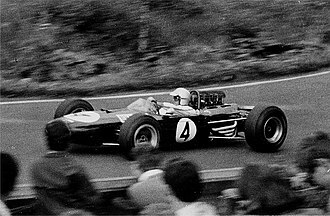 Ludovico Scarfiotti (18 October 1933 – 8 June 1968) was a Formula One and sports car driver from Italy. 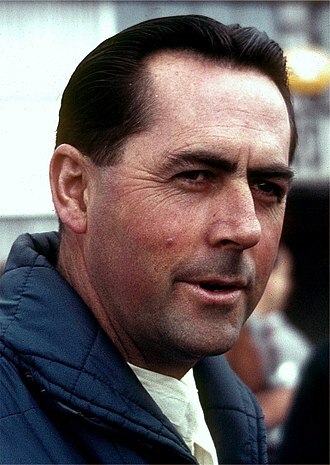 Just prior to entering Formula One, he won the 1963 24 Hours of Le Mans for Ferrari. He later participated in 12 World Championship Formula One grands prix, and many non-championship races. He won one World Championship race, and scored a total of 17 championship points. A motor sports competitor for a decade, Scarfiotti won the 1962 and 1965 European Hillclimb Championship. He was proclaimed Italy's best driver in both 1962 and 1965. 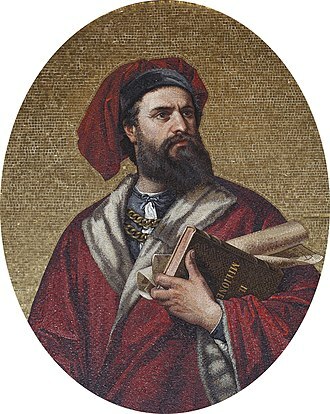 Scarfiotti was born in Turin. 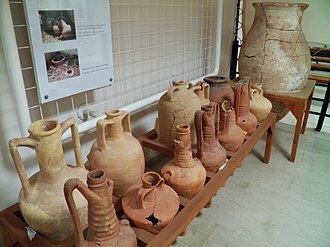 Scarfiotti was associated with cars from his youth. 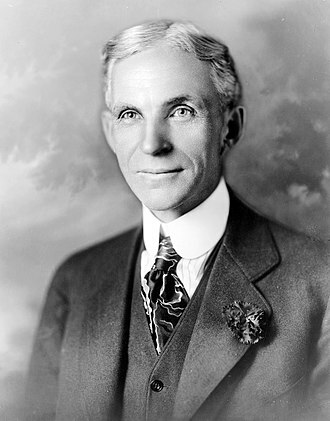 His grandfather was the first president and one of the nine founders of the Fiat automobile company. 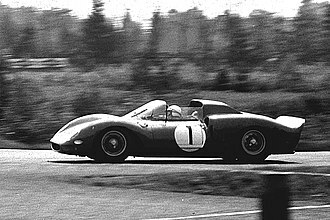 Scarfiotti competed in the 1,000 Kilometres de Paris sports car race in October 1962. He finished third with teammate Colin Davis. The event was won by Pedro Rodríguez and Ricardo Rodríguez driving a Ferrari. 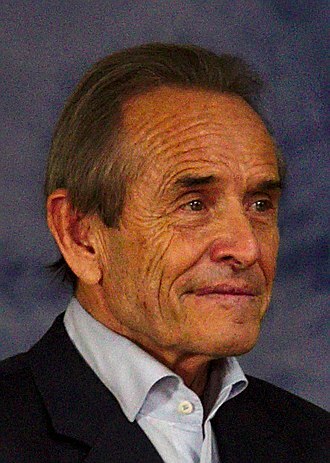 Partnered with Lorenzo Bandini, Scarfiotti was victorious in the 24 Hours of Le Mans in June 1963. 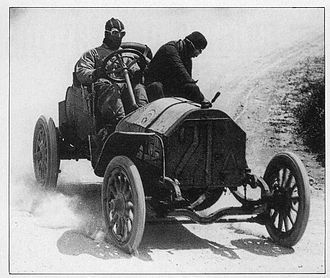 Their factory Ferrari achieved an average speed of 117.99 miles per hour over a distance of 2,832 miles (4,558 km). 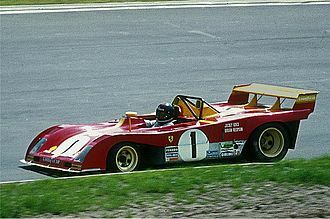 The victory was worth almost $20,000 in various prize money along with prestige, and gave Ferrari its fourth consecutive Le Mans victory. In 1965, John Surtees and Scarfiotti shared a Ferrari 330 P2 Spyder which gave the marque a fourth consecutive victory at the 1000km Nürburgring race. They led throughout the 44 laps, posting a winning time of 6 hours, 53 minutes, and 5 seconds, for an average speed of 90.46 mph (145.58 km/h). Scarfiotti and Bandini drove a 2-litre Ferrari to second place in the 1966 running of the 1,000 kilometre Nürburgring in which first place went to Phil Hill and Joakim Bonnier driving a 5.4-litre Chevrolet-powered Chaparral. 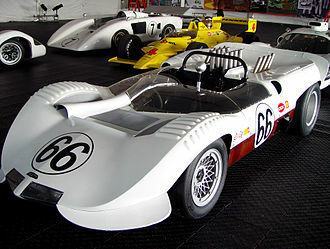 The Ferrari was 90 seconds behind the Chaparral that debuted the automatic transmission in European competition. 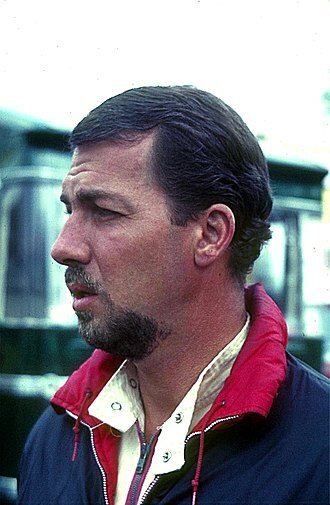 Surtees severed relations with the Ferrari racing team following their decision to replace him with Scarfiotti at the 1966 24 Hours of Le Mans. 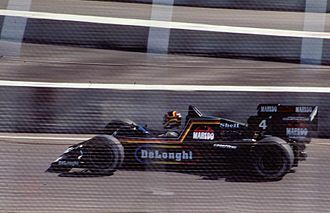 Scarfiotti would go on to finish 31st, retiring after 123 laps. Scarfiotti joined Mike Parkes in a Ferrari P4 for the 1000 km Spa in May 1967. 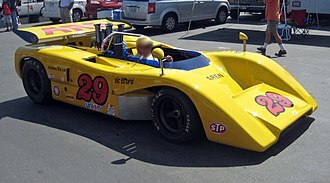 They finished a lap behind Jacky Ickx and Richard Thompson, who drove a Ford Mirage (race car). The winning team averaged 120.5 mph (193.9 km/h) and posted a time of 5 hours, 9 minutes, 46.5 seconds. Teamed with Mike Parkes, Scarfiotti took the new Ferrari P4 coupe to second place behind the sister car (a P4 spyder) driven by Lorenzo Bandini and Chris Amon at the 24 Hours of Daytona, with Ferrari taking the first three positions. 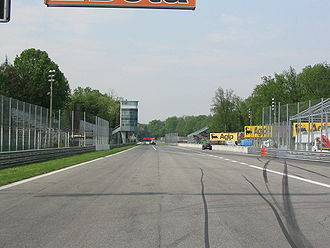 The same result took place at the Monza 1,000 km in April. 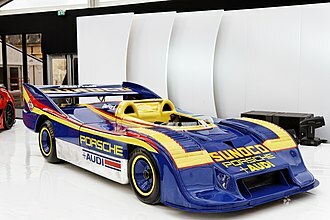 Scarfiotti, again teamed with Parkes finished second at the 24 Hours of Le Mans, this time behind the Ford Mark IV driven by A.J. Foyt and Dan Gurney. Scarfiotti raced a Ferrari factory car in the September 1967 200-mile Canadian-American Challenge Cup race held on a 2.85-mile (4.59 km) course near Bridgehampton, New York. 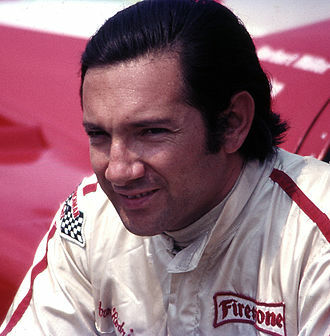 His sponsor was the North American Racing Team of Luigi Chinetti. Scarfiotti entered the 1968 Targa Florio, but wrecked his Porsche 907 (#230) on the first day of qualifying and was forced to race with Porsche's T-car which did not last the 720-kilometre-long (450 mi) road race. Enzo Ferrari signed Scarfiotti to the Ferrari Formula One team of drivers for 1963 along with Surtees, Willy Mairesse, Bandini, and Nino Vaccarella. 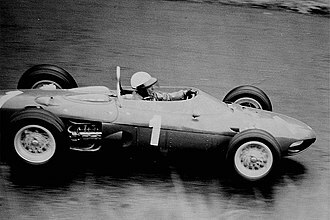 Scarfiotti placed sixth in the second Ferrari in the 1963 Dutch Grand Prix at Zandvoort. 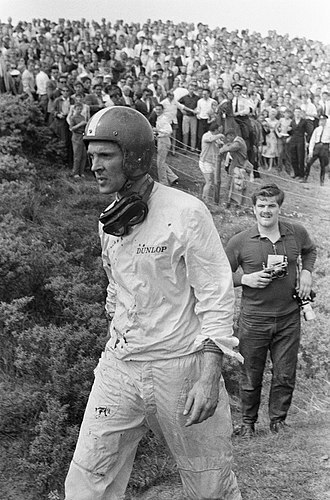 He was a lap behind victor Jim Clark in a Lotus. 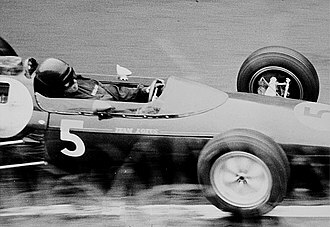 John Surtees piloted the first Ferrari to third place behind Dan Gurney in a Brabham. 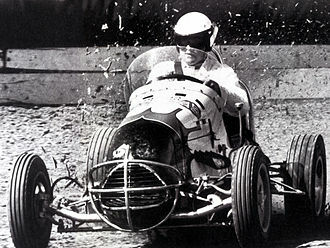 Scarfiotti finished fifth in the 1965 Syracuse Grand Prix. Scarfiotti became the first Italian in fifteen years to win the Italian Grand Prix when he drove his Ferrari to a track record speed of 136.7 mph (220.0 km/h) at the 1966 event. 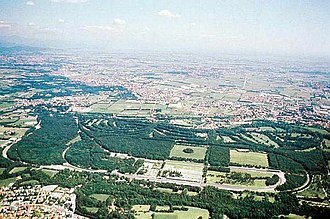 As of the end of the 2018 Formula One season, Scarfiotti is also the last Italian to win it. 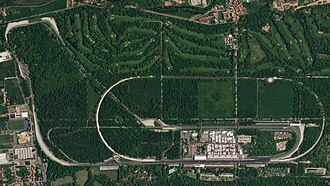 He completed the 68 laps around the 3.6-mile (5.8 km) Autodromo Nazionale Monza in an event in which Jack Brabham clinched his third Formula One World Championship, despite exiting on the seventh lap. Following the death of Bandini from burns sustained during the 1967 Monaco Grand Prix, Ferrari decided to enter two cars for Scarfiotti and Parkes in the 1967 Syracuse Grand Prix. 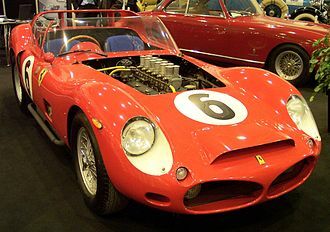 Scarfiotti drove a 1966 3-litre Ferrari 312 whereas Parkes drove a 1967 with the 1966 nose to accommodate his long frame. They shared the victory when they crossed the finish line in an unusual dead heat. 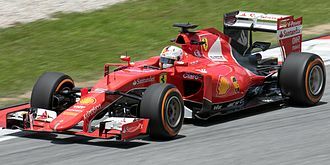 They were clocked at 113.65 mph (182.90 km/h),[clarification needed] recording an official time of 1 hour 40 minutes 58 seconds for the 191.2-mile (307.7 km) race. Brian Redman and Scarfiotti came in third and fourth respectively at the 1968 Spanish Grand Prix in Jarama. 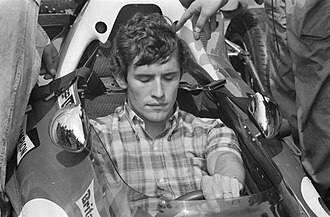 Both drove for Cooper, with Redman competing in only his second Formula One Grand Prix. The race marked the first win for Graham Hill since 1965. 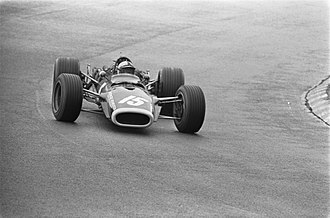 Driving a Cooper, Scarfiotti placed fourth in the 1968 Monaco Grand Prix, an event marked by mechanical breakdowns that eliminated 11 of 16 starters before the race was completed. 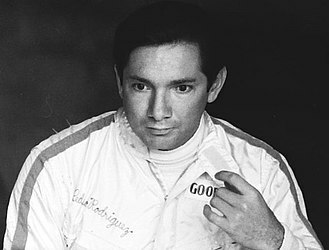 Ludovico Scarfiotti died in 1968 at a hillclimbing event on the Roßfeldhöhenringstraße near Berchtesgaden, Germany, in the German Alps. 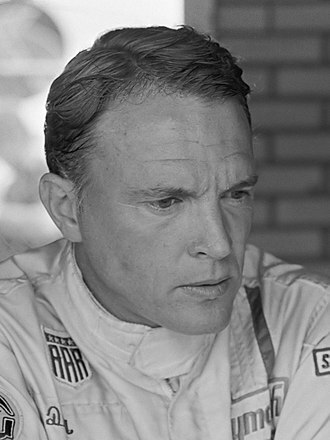 He became the third Grand Prix driver to die in 1968, following Jim Clark and Mike Spence. 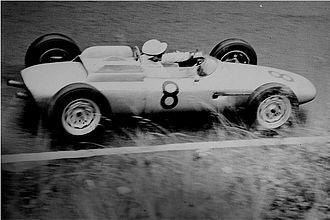 Scarfiotti wrecked his Porsche 910 during trials when the car veered abruptly off the Rossfeldstrasse track and catapulted ten yards down a tree-covered slope. The Porsche hung in the trees and Scarfiotti was thrown from the cockpit. He was discovered, badly injured, fifty yards away. He died in an ambulance of numerous fractures. 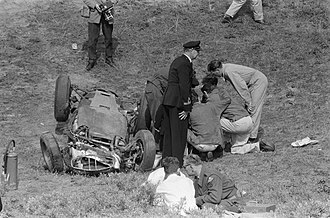 Huschke von Hanstein, the team manager of Porsche, stated that he had never been associated with a fatal accident during the eighteen years he had been in charge of the team. 60 yards (55 m) of burned rubber braking indicated that Scarfiotti had slammed on his brakes at the final moment. 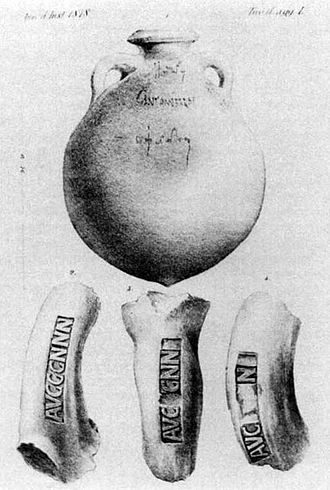 Scarfiotti was married to Ida Benignetti and had two children from a previous relationship. ^ a b c Scarfiotti, 34, Killed In Car-Racing Crash, New York Times, June 9, 1968, Page S1. ^ Pedro and Ricardo Rodriguez First in France With a Ferrari, New York Times, October 22, 1962, Page 52. ^ Italian Ferrari Sets 2 Marks in Winning Le Mans Race, New York Times, June 17, 1963, Page 45. ^ Driver Is Killed In German Race, New York Times, May 24, 1965, Page 43. ^ Italians Are Next In 2-Liter Ferrari, New York Times, June 6, 1966, Page 57. ^ Ickx, Thompson Win Belgian Race, New York Times, May 2, 1967, Page 59. 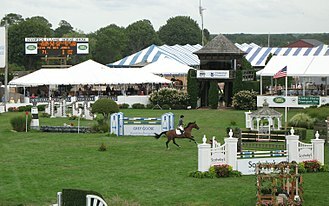 ^ Hulme Paces Bridgehampton Trials, New York Times, September 17, 1967, Page S9. ^ Vaccarella Will Carry Hopes Of Sicilian Auto Fans Today, New York Times, May 5, 1968, Page S7. ^ Ferrari Team Named, New York Times, December 2, 1962, p. 253. ^ Clark Sets Mark With Lotus-Climax In Sicily Auto Race, New York Times, April 5, 1965, p. 40. ^ Italian Wins at Monza; Ginther Hurt in Crash, Los Angeles Times, September 5, 1966, p. B5. ^ Two Ferraris Are Entered In Italian Formula One Race, New York Times, May 21, 1967, p. 23. ^ Surtees, Driving a Lola, Takes 2-Heat Grand Prix of Limburg (Belgium), New York Times, May 22, 1967, p. 61. ^ Graham Hill Takes Monaco Grand Prix, New York Times, May 27, 1968, Page 66. All American Racers is an American auto racing team and constructor based in Santa Ana, California. 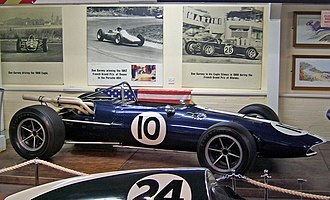 The Formula One team, based in the United Kingdom and using British-built Weslake engines was named Anglo American Racers, under team manager Bill Dunne they set up shop in Rye, East Sussex. 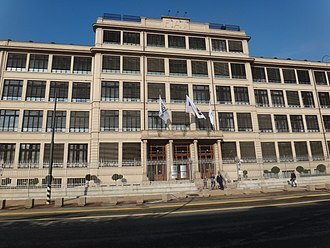 The team were adjacent to Harry Weslakes engine development plant and half a mile from Elva cars and they participated in 25 Grands Prix, entering a total of 34 cars. 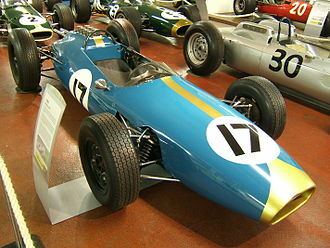 The first Eagles were created after AAR entered a Goodyear-backed Lotus 38 in the 1965 Indianapolis 500, the resulting Ford-powered Eagle T2G was codeveloped with the Eagle T1G for Formula 1. The company built the Ben Bowlby-designed DeltaWing that was run by Highcroft Racing at the 201224 Hours of Le Mans, in order to run the Formula 1 operations, Gurney established Anglo American Racers. 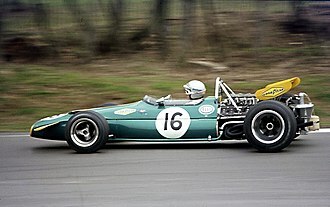 The Eagle T1G, powered by an obsolete Coventry Climax engine, debuted at the 1966 Belgian Grand Prix, in 1967 Richie Ginther was signed as a second driver. The Climax engine was replaced by a new 3-liter Weslake V12 designed by Aubrey Woods, at Spa-Francorchamps in June of that same year Gurney got a victory, the first all-American victory in a Grand Prix since Jimmy Murphy in 1921. Excluding the Indianapolis 500, this is the win for a USA-built car in Formula One. The Eagle-Weslake was a beautiful and efficient car, one example of which was constructed in titanium, more than this, the Eagle was designed to make the tall Gurney fit comfortably at the wheel. Their efforts produced a V12 that was smooth and powerful, at Monza, an insight into the future of engine design was seen for the first time. The engine had four valves per cylinder at a narrow included angle that allowed a cover to enclose both the close-spaced camshafts on each bank. 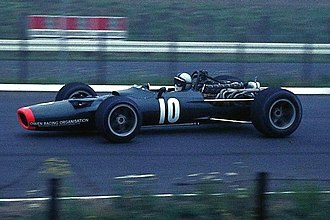 Had a larger bore than stroke, during the USAC years, the Eagle chassis was very successful in the late 1960s and 1970s, especially with driver Bobby Unser. Eagles won 51 Champ Car races, including the 1968 and 1975 Indy 500s won by Unser, the All American Racers team was inactive in single seaters from 1987 to 1995 and returned in 1996 again building their own chassis and using new Toyota engines.